Lenovo has just released their latest flagship smartphone in Indonesia, namely Vibe K4 Note that immerses Theatermax technology inside Vibe K4. Theatermax is the latest technology from Lenovo is able to transform multimedia content to be virtual reality. To support the Vibe user experience of enjoying content K4 Note Virtual Reality, Lenovo also provides accessories such as glasses AntVR companion were already included in the sales package. In addition to the above technology, Lenovo VIBE K4 Note was supported with 3GB RAM, chipsets MediaTek MT6753 octa-core processor and 16GB of internal memory up to 128GB. This Smartphone supported with Android 5.1.1 Lollipop and can be upgraded to Android 6.0 later Marshmallow. The phone will also come with a screen of 5.5-inch Full HD (1080). In photography, the phone is powered by a rear camera 13 MP rear camera with dual flash CCT and 5 MP selfie camera. Other specifications include a battery of 3300 mAh, a fingerprint scanner, NFC connectivity, support for 4G LTE networks, in addition, thiss smartphone also has been supported by Wolfson Codec, which is a multimedia codec that is claimed to be able to bring surround sound better than the other phones. Lenovo VIBE K4 Note priced $233 and according to us, this range is still recommended to buy if you really need a smartphone with Virtual Reality feature. 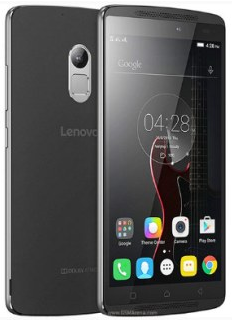 Belum ada tanggapan untuk "Lenovo Vibe K4, Smartphone With Virtual Reality"